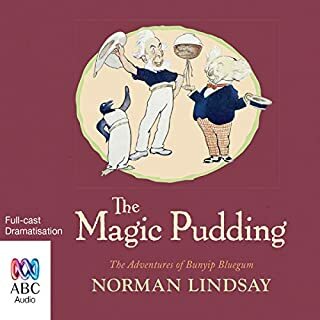 The Magic Pudding is a pie except when it’s something else, like a steak or a jam donut or an apple dumpling or whatever its owner wants it to be. And it never runs out. No matter how many slices you cut, there’s always something left over. It’s magic. But The Magic Pudding is also alive. It walks and it talks, and it’s got a personality like no other. A meaner, sulkier, snider, snarlinger pudding you’ve never met. An classic story with a new perspective. 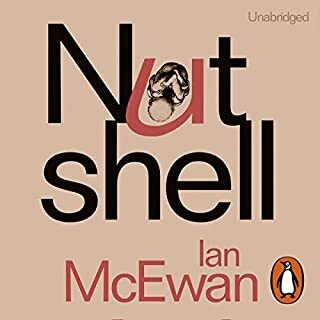 Nutshell has a very interesting premise - It’s a novel narrated from the womb by a soon-to-be-born, highly articulate protagonist. Unique? Quite possibly. Engaging from the outset? Absolutely. It’s a story about relationships between unborn child and mother, and a tangled web of lies and deception. Based on a classic, to say more would be to give the game away, and this is a story where you’ll enjoy the journey as the narrative unfolds. The narrator (Rory Kinnear) is well-chosen, and brings life to all the characters. His voicing of the protagonist’s inner thoughts effortlessly flips from the urbane to those driven by juvenile desire and focus. An excellent characterisation of such an unusual protagonist. If I had one thing to state in criticism, the novel was a touch too long than it needed to be, however, I did enjoy listening to it, and would recommend it to anyone after a highly literary listen with an usual perspective at its core. Listen to this gorgeous story, which is performed by a wonderful celebrity cast, and you'll be smiling and feeling sentimental by the end. 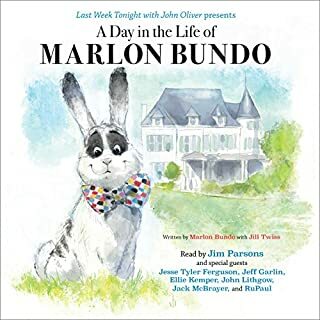 Proceeds from this book support The Trevor Project and AIDS United, so in buying this book, you're supporting worthy causes as well as making a statement - love is love, and love is all that matters! Michael Dobbs' tale of political trickery remains as fresh today as when it was first published. The BBC series (from the 90s) and the Netflix series have only ensured its legacy as a must read for those who like politically savvy novels with a hefty dose of dark humour. In terms of this novel, Francis Urquhart (the protagonist) remains a brilliantly constructed character whose craftiness is both disturbing and inspiring - you're left with have a feeling he's going to win, but have to keep listening to find out how he's going to triumph and who he'll leave floundering in his wake. Samuel West reads the novel with the perfect mix of cool reserve and a sense of witty and cynical disclosure in the monologues. It all makes for engrossing listening. Should you immediately purchase and listen to this audiobook? Well, to quote Francis Urquhart himself, "you might very well think that, I couldn't possibly comment." This collection of Dr Seuss practically sells itself - look at the narrators! All great actors and comedians and storytellers. They all bring their talent and skill in telling these whimsical and wonderful stories, and they nail them. They revel in the rhythm and rhyme of the stories, and make the most of them. Dr Seuss has a way of writing that is so distinct, and each narrators works flalessly with the text. I cannot think of a single thing that needs to be changed. The sound effects really bring the stories to life without being too heavy-handed or detracting from the text, which is a great achievement too. This collection (and the others in the series) will become repeat listenings for family roadtrips and bedtime stories, and they'll never grow old or become boring, 98 and three-quarters percent guaranteed! There's something about Ignatius J Reilly ... 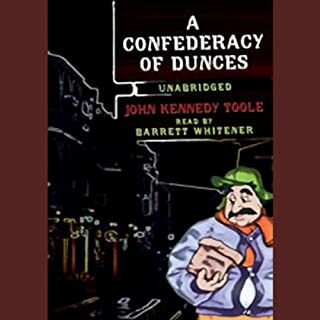 He'll make you guffaw with laughter, choke with repulsion and, thanks to the remarkable talent of John Kennedy Toole, you might even find pity for him. This novel is astounding. It's such a tragedy that there were no more novels by Toole, who could have been a prodigious talent. However we have this title, and Ignatius is his gift to the world, and the world is much richer for it. You won't regret a moment spent listening to this brilliant audiobook; the narration is spot on, and the characterisations marvellous. Best enjoyed while eating a hot dog. Happy listening. 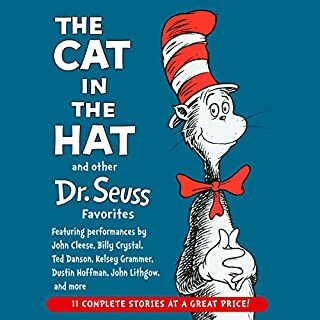 Join the Owl and the Pussycat on their long journey to save the walking, talking Bong Tree in this clever story filled with love and laughter, silly songs, fabulous felines, vile villains, precocious pie-rats, and lots more to tickle one's fancy. Enhanced by an original musical score that contains 10 hysterical songs. A charming tale with funny songs; a total delight. 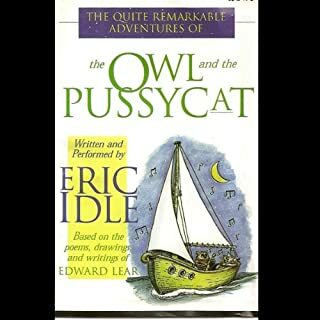 Eric Idle's telling of the story of the Owl and the Pussycat, who set to sea in a pea-green boat, is marvellous. It takes the poem as its basis and spins it into a wonderful adventure involving the Fire Lord, the magical Bong Tree (that walks and talks), and, of course the Pig with a ring in his nose! There are songs interspersed within the story (I particularly like the one about shopping), and which add to the whole story beautifully, and Eric Idle reads delightfully. As a member of Monty Python, he brings his wit to the narration and his sense of fun, not to mention his ability to create fantastic voices for the characters. Adults and children alike will love this audiobook about the Owl and the Pussycat, two brave friends whose adventure will become a favourite, and deserves to be a classic. Harry Perkins is elected Prime Minister of the UK in an election that leaves the conservatives reeling. His platform is radical, left-wing, and from day one his enemies begin to rally against him. 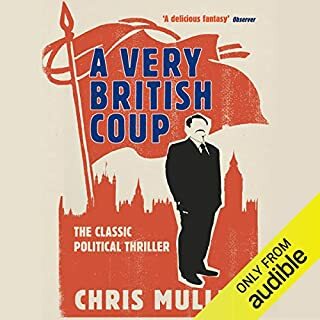 'A Very British Coup' is a story about the rise of a government, and a look at what can happen in a democracy when you have the wrong, or should that be right, enemies. 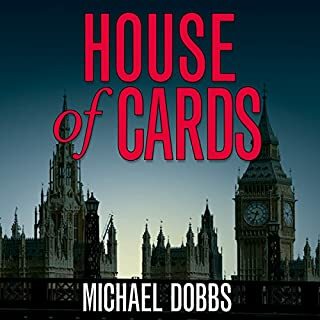 This audiobook will appeal to those who love political thrillers like House of Cards, and was adapted into a highly acclaimed mini-series. A few words from Neil: A few years ago, I blogged about an idea I had for a new Halloween tradition…. I proposed that, on Hallowe'en or during the week of Hallowe'en, we give each other scary books. And so All Hallows’ Read was born. This year, I decided to make the tradition Audible. Literally. We have been telling each other tales of otherness, of life beyond the grave, for a long time; stories that prickle the flesh and make the shadows deeper and, most important, remind us that we live, and that there is something special, something unique and remarkable about the state of being alive. Happy Halloween! 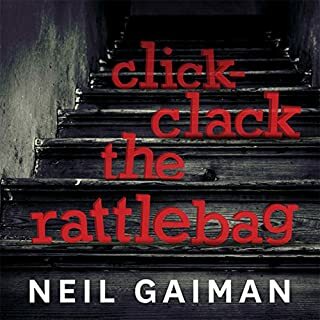 Neil Gaiman created All Hallow's Read, a tradition where readers exchange scary stories for Halloween, and this is his first audiobook offering for lovers of spooky stories - Click-Clack the Rattlebag. His narration is skilled, and his voice very pleasant to listen to, with just the right mixture of warmth to put you at your ease and creepiness when things get strange and spooky. I'm Not Going to Get Up Today read by Jason Alexander. 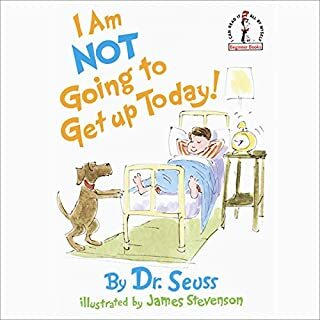 "I'm not going to get up today" is a little known Dr Seuss story but it's an absolute gem that deserves to be wider known. It's a story of a boy who just wants to sleep in, declaring to his parents, the town and the whole world that he's not going to get up today, no matter what they try. Jason Alexander is a great narrator and gets the tone of the story just right, at every moment. I can't recommend this audiobook more. It's funny, it's sweet and the whole thing is marvellously accompanied by sounf effects and music that enhance the story perfectly. So, have a sleep in, and, in honour, listen to his book as you settle down for a snooze.